Introducing a new range of White, Blue or Colour Changing LED pool lights that are easily retro-fitted to all standard pool light fittings. 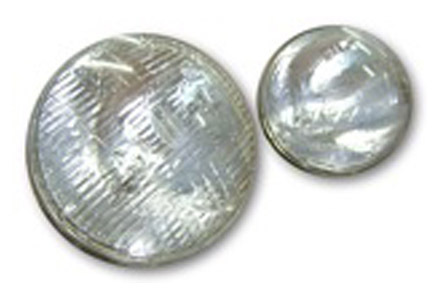 These LED lights have a low power consumption, are totally water proof and come with a 1 year warranty. 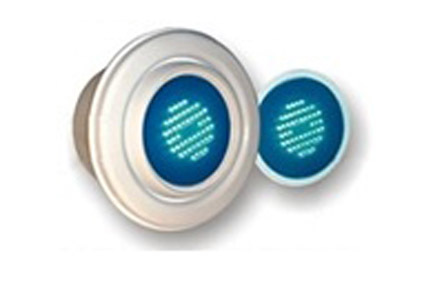 The Blue LED light replaces your standard beam light. The light is easily retro-fitted to all standard pool light fittings. Weight 450g. Diameter 140mm. Power Consumption 16W. 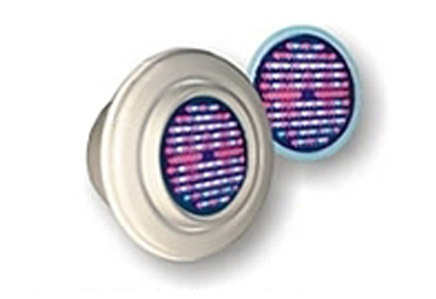 The AQUA 150 RANGE offers, Blue, White and Colour Changing LED light that is suitable for smaller pools. The light is easily retro-fitted to all standard pool light fittings. 12V AC. Weight 540g. Diameter 140mm. Power Consumption max. 25W. 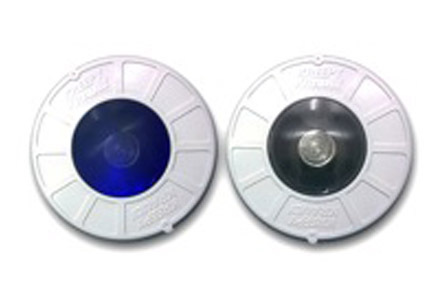 Available in White and Blue and is easily retro-fitted to all standard pool light fittings. Power Consumption 71W . Available in 140mm and 180mm Diameter. Power Consumption 125W.